Improved AED coverage year on year. 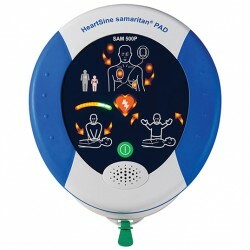 Increased awareness of SCA, CPR and AED Importance. Training to recognise SCA when it strikes. Training to deliver effective CPR and AED support. We use real paramedics and first responders to deliver real training. Our best-in-class advice makes it easy for you. 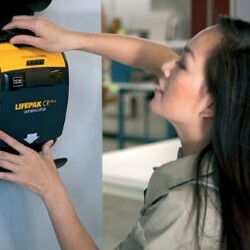 We offer the supply and training for the right AED for you. Our luminary advice is there for you, regardless of order size. Sudden Cardiac Arrest kills more people in the UK than lung cancer, breast cancer and AIDS combined. It strikes without warning; killing 250 people a day in the UK. Sadly, on average, only 7% of people who suffer Sudden Cardiac Arrest outside the hospital survive, and survival rates fall by around 10% every minute. Early defibrillation is the single most effective treatment for SCA and defibrillation within three minutes of collapse can increase the chance of survival to over 70%. Quick action by the first person on-scene can truly make a difference in saving a life. 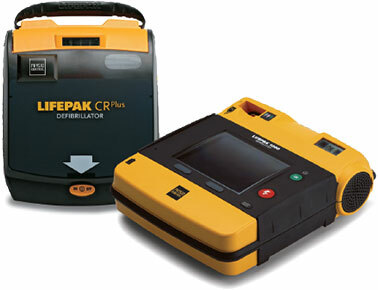 Together with CPR, defibrillation is the only way to re-establish the heart’s natural rhythm. 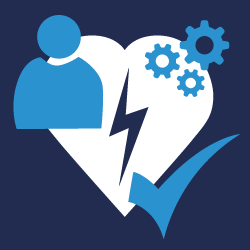 CPR alone will not restart a heart following a Sudden Cardiac Arrest. CPR alone = 5% Survival. 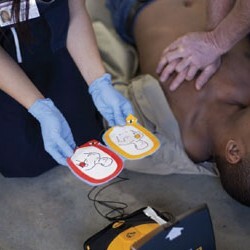 CPR + Early Defibrillation = 50% Survival.